Beautiful trail worth doing even though it is only 1/2 mile. The map on this site is accurate for this hike. The one you get at the park is way off. We were never sure we were actually on the right trail. 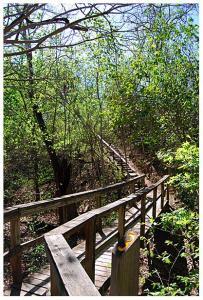 Mostly paved trails that meander past Onion Creek and up through a wooded area. After a while much of it began to look the same.